There’s something for every floralpreneur® inside this course, no matter what your experience level! Get it HERE. It’s free! Click HERE to get the course for free! Upgrade Option: Get the entire course TODAY for $12. this course has something for every floralpreneur® who wants to be at the top of their game! 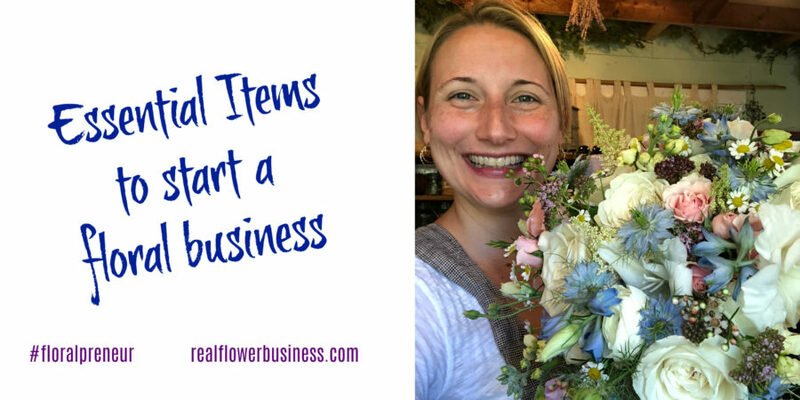 Sign up here to get: How To Start A Floral Business! 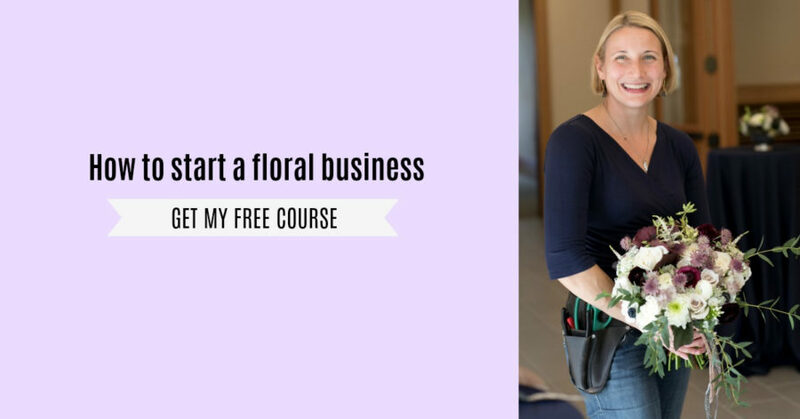 This training is about what it *really* takes to run a floral design business…and it’s not just for beginners. -Plus a downloadable pdf of my Wedding Day Checklist! Click HERE for the free version of the course! OR, Click HERE to upgrade and get all the lessons NOW for $12. I got my first job in a flower shop 24 years ago. I learned how to price like a florist and apply proper markups & design fees so I’ve always been able to turn a profit in my business…even if I only had 1 wedding my first year in business! In one flower shop, I learned how to design cookie cutter wire service orders day after day after day, how to purchase for 2 busy shops, how to sell a funeral order with empathy and professionalism, and how to rock n’ roll on holidays. At another shop, I learned how to confidently sell flowers that I personally thought were “too expensive”, what it looked like to “raise the bar” for high-end clientele, and how to make a bridal bouquet. I learned what it meant to be a business with a social purpose; a brand with a point of view. No two businesses are exactly alike. Carve your own path in this crazy adventure as a floralpreneur®! Now, let’s start it up! This course was made with love from me to you! Remember: If you want to get the whole training now, Click here to upgrade!